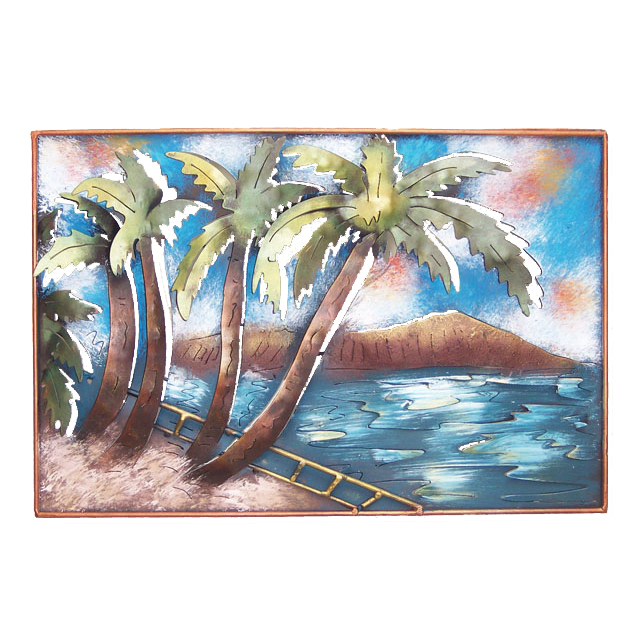 Accent your tropical home with the Diamond Head Metal Wall Art. This beach wall art features a beautiful beach scene with cutout and dimensional details. For even more offerings, we encourage you to spend some time to view our comprehensive inventory of beach wall art at Bella Coastal Decor now.